Its 2008 Dodge Ram 3500 6.7ltr turbocharge 4x4 truck. 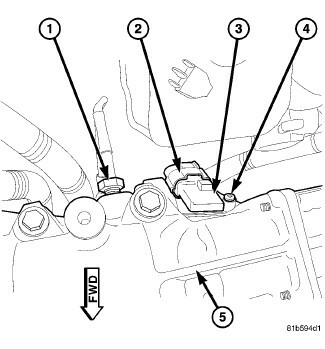 Looking for the location on the engine for the Map sensor. First Know What Is Map Sensor? The combination, dual function Intake Manifold Air Temperature Sensor/MAP Sensor is installed into the top of the intake manifold with the sensor element extending into the air stream. What Is The Purpose Of IAT sensor In MAP Sensor? The IAT portion of the sensor provides an input voltage to the Engine Control Module (ECM) indicating intake manifold air temperature. The MAP portion of the sensor provides an input voltage to the ECM indicating turbocharger boost pressure. 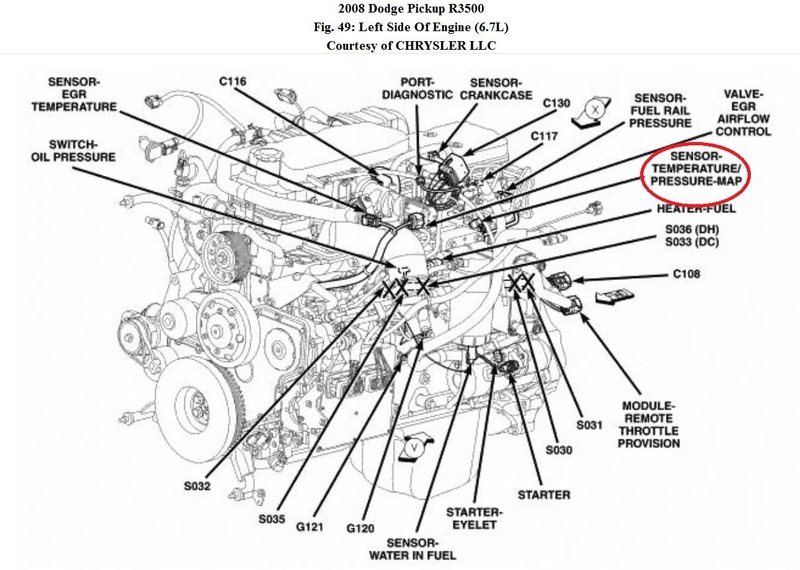 The sensor is #2 in the picture and it is just behind the egr valve. This is on the drivers side of the engine, looking down from above the engine. 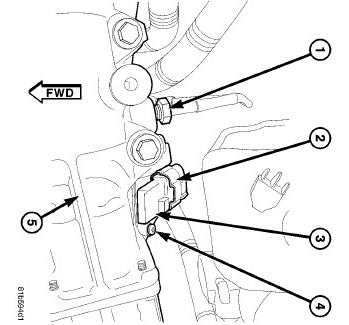 Number 5 is the egr valve. The MAP sensor on your truck is on the air intake. On the left side of the engine compartment,when you look at it from the front, you will see the metal air inlet that comes from the engine, the EGR valve is attached to the top, and the rubber intercooler duct goes from there up to the intercooler. 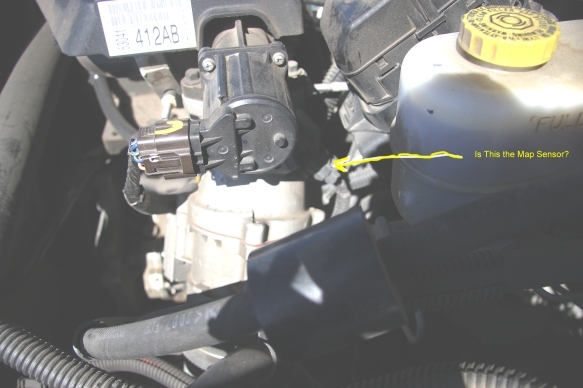 The MAP sensor is mounted to the back side of the metal intake upstream of the EGR flow control valve, which looks like an electronic throttle body. Looking at the photo in this direction it would be as if you were looking at it from over the left fender - intake tube on your left and the sensor on the rear toward the rear of the truck.